Girl Charlee Fabrics UK & Europe: Tutorial Tuesday: Perfect Slouchy Tunic, 2 Giveaways & Edinburgh Show! 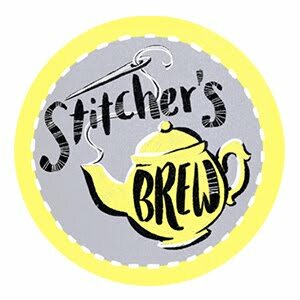 Tutorial Tuesday: Perfect Slouchy Tunic, 2 Giveaways & Edinburgh Show! For this week's Tutorial Tuesday, we have this Perfect Slouchy Tunic Tutorial from Merrick White of Merrick's Art. We also have 2, YES 2! giveaways (see below for details). 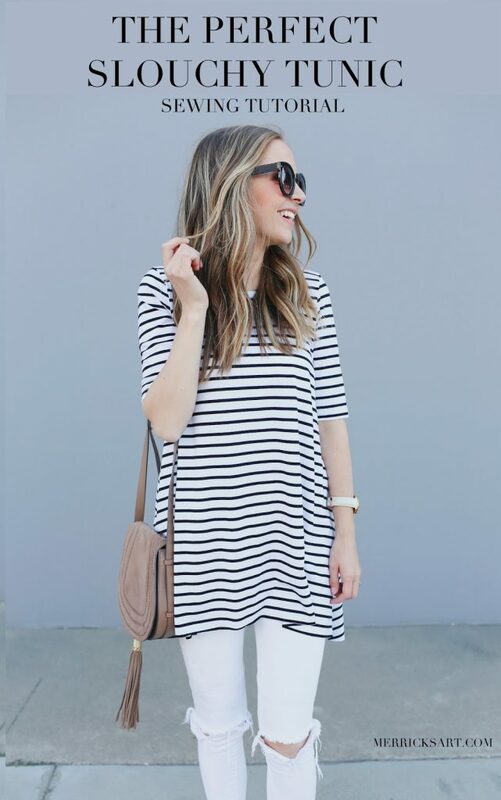 What I love most about this tunic is that it can easily be dressed up or down depending on the occasion. Pair it with jeans during the day, then vegan leather leggings for a night on the town! Match Merrick's look and sew yours up in a basic stripe or solid knit or be bold and use a fun statement print like a floral, ethnic, etc. 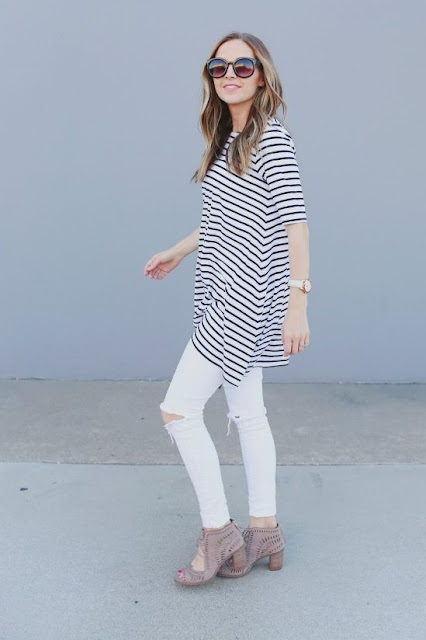 You can customise the look with different sleeve lengths (or sleeveless!). 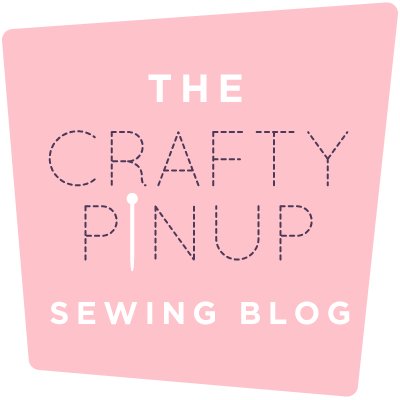 You only need 1.5m-2m of any soft knit fabric and the tutorial is so easy that you will want to sew it again and again in different colors and prints. Enjoy! 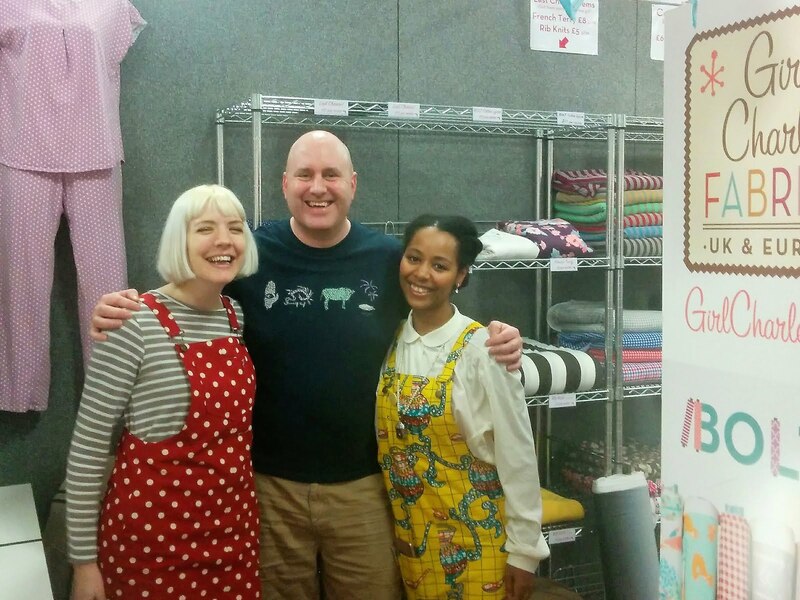 Our next show is approaching quick and we're excited to be coming to the Knitting and Stitching Show in Edinburgh! The show is at the Royal Highland Centre and runs from Thursday 27th April through to Sunday 30th April so if you are in the area come along and say hi and see all our beautiful fabrics (including some not even released on the website yet!). We are on stand C10. 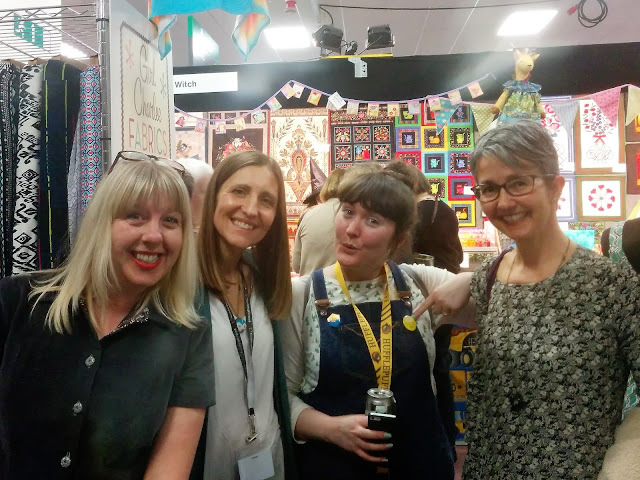 There are loads of amazing things to do and see at the show other than our wonderful fabrics so it really is a great day out for crafters of all levels. Tickets are only £13 and can be purchased HERE, but we have 6 tickets to giveaway, so if you'd like one, comment below with your email address and say "TICKET PLEASE". The first 6 to do this win a single entry ticket vailid for any day (please make sure you can attend, in Edinburgh, 27th-30th April). If you live somewhere else don't worry, we will be exhibiting at lots of events all over the UK & Ireland this year (next up is Cardiff in June) so be sure to check our Facebook Events Page to see where we'll be (you never know who you'll bump into!). 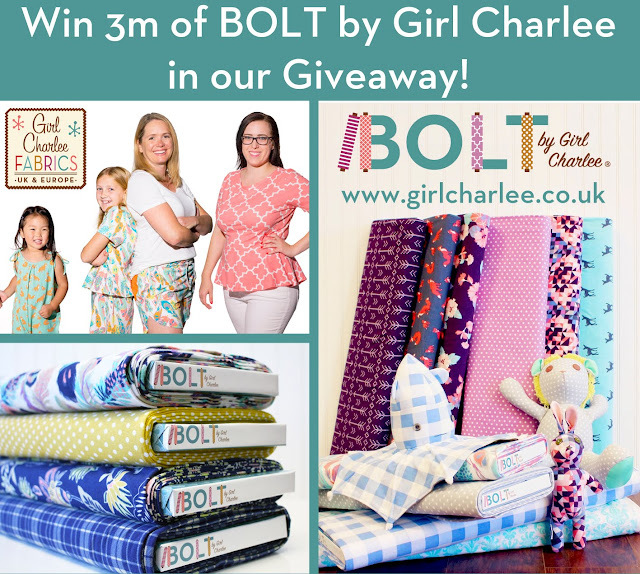 We've teamed up with the lovely folks at The Sewing Directory to give you the chance to win 3m of our BOLT by Girl Charlee range of fabrics. If you haven't tried BOLT by Girl Charlee yet, they are a range of exclusive, high quality, super soft pre-shrunk cotton spandex knits (95/5). Made in the USA, the Bolt range has 34 designs in a variety of fantastic colourways and patterns across 4 co-ordinating collections. These fabrics are perfect for sewing dresses, tees, tops, leggings, shorts and more. Which will you choose? To enter, first sign up to our newsletter (sign box is here). Visit the BOLT page on the Girl Charlee website to decide which fabric you would choose, then leave a comment below saying which one you'd like to win. 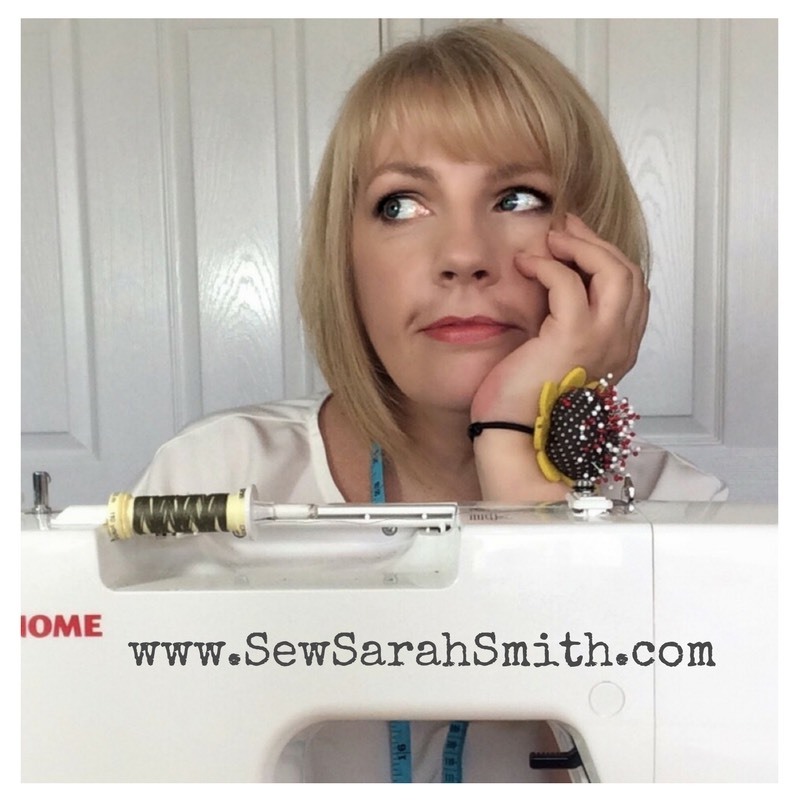 You must comment on this blog post about stating which fabric you would like to win, as well as signing up to our newsletter to enter this giveaway. If you are already subscribed, then just comment on the blog post. Two winners will be chosen at random to receive 3 metres of their chosen fabric from the Bolt collection. The prize can be shipped to any address in Europe. All entries must be received by 3pm on Tuesday 25th April 2017. It would be Plum Stitched Arrows for me please! I love Desert Sky Mint Gingham! 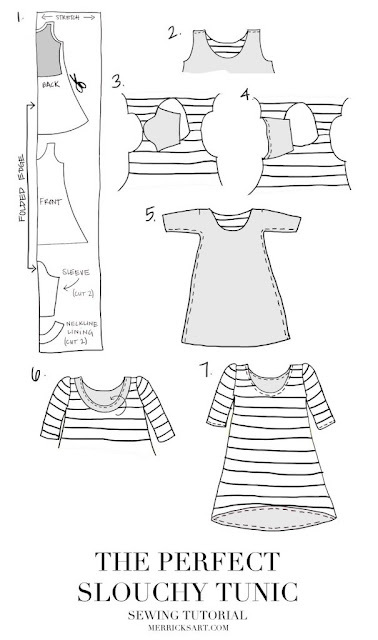 So perfect for spring/summer projects (I am thinking matching mommy-and-me dresses). Pure Vintage Feathers Cotton Spandex Knit Fabric I would love some of the feather fabric I have had my eye on for a while.... Need to use my quarter foil fabric from the sale yet!! What a lovely giveaway! I would love to receive the Modern Reflection Feathers cotton spandex knit fabric please! Oh thanks for this wonderful opportunity!. The Pure Vintage Penn Dutch Cotton Spandex Knit Fabric would be just right for some funky baby makes I have in mind. I'd love to win the Marsala gingham knit please, stunning! Thank you for this generous giveaway. I am already signed in the newsletter, and my favourite bold knit is Pure Vintage Mustard Dot Cotton Spandex Knit Fabric. Hi Hannah. You are one of our lucky winners! Please can you email me - sales@girlcharlee.co.uk with your full name and address so we can send your prize out! I'd really like the Modern Reflections Grey Dots. I need to replace my former favourite grey dress which suffered a terrible tragedy and is no longer wearable. The combination of grey and polka dots is like crack to me. So hard to choose, but it would be Modern Reflection Giant Gingham for me. Absolutely perfect for Summer dresses and tops! My favourite is the Pure Vintage Mustard Dot Cotton Spandex Knit Fabric. Thanks for the chance to win it! 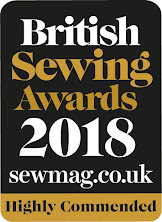 Pure Vintage School Plaid is my Bolt fabric of choice - I would love to win this to add a summer dress to the summer wardrobe I'm sewing at the moment. Thanks for the giveaway. It's so hard to choose among the bolt fabrics but I think I'd go for the mustard polka dots. I'd have pure vintage plaid cotton. I'd treated myself to a meter before but my 13 year old daughter spotted it & that was that. It made a great Grainline Lark Tee for her. Looking forward to visiting your stand in Edinburgh as well. So difficult to choose just one but the grey dots would be something I would wear even though the magpie in me loves all the bright colours. The Pure Vintage Blue Quatrefoil Cotton Spandex Knit Fabric is just gorgeous! Love the Desert Sky Feathers fabric. I would love to win this. Thank you. I would choose the Marsala gingham, maybe for a summer Tilly Zadie dress. I'd *love* to win some of the modern reflections feathers! What a fantastic tutorial and a giveaway too! I would choose the pure vintage mustard dot cotton spandex knit fabric - that colour is just gorgeous!! Lovely fabric it would be grey arrows for me. I would love to win modern reflections feathers! It's gorgeous. Wow so hard to choose theyre all so fab but Im drawn to the modern grey dots. I already subscribe to your newsletter. Pure Vintage Chartreuse Dot for me please! Modern Reflections Feathers would be brilliant for this tunic in my view. Long time subscriber. My favourite on the BOLT page is pure vintage school plaid. Thanks for running this great competition! I'd love the plum stitched arrows - that colour is fabulous! I love the giant gingham! Thanks for the chance! I'd like to win modern reflection aqua baroque please! Thanks for the great giveaway offer. My favourite would be the Modern Reflection Feathers. Fingers crossed! Impossible choice! I'd be delighted to win any of them but I'll go with the Modern Reflection Plum Stitched Arrows. The pure vintage school plaid please. I would love the grey arrow print please. Boring as it may be I would go for the modern reflection grey dots. It would go with anything and you can't beats dots really can you?! And, I would make the slouchy tunic. Thank you for the competition. I've just re-read my comment. I didn't mean the fabric was boring!!!! I talking about me and my lack of colour in my wardrobe! I'd love to win the aqua fawn fabric :) fingers crossed! What a great giveaway - it was hard to choose one fabric but I'd choose the orchid dots. Fabulous giveaway!! Thanks for the opportunity. Difficult choice, but I think I would go for the Pure Vintage Blue Quatrefoil :) Fingers crossed!! Hi Clare. You are one of our lucky winners! Please can you email me - sales@girlcharlee.co.uk with your full name and address so we can send your prize out! Definitely the feathers. I fell in love with them as soon as I saw them! Modern reflection giant gingham would be my choice. It reminds me of sunny skies and making a summer dress with it would brighten up my day. I would go for the modern reflection aqua baroque- just beautiful and makes me feel like spring! I love the Modern Reflection Aqua Baroque! I'd love to try the orchid dots! I'd love Modern Reflection Aqua Baroque Cotton Spandex Knit Fabric! But equally the Modern Reflection Feathers Cotton Spandex Knit is also amazing! I love the Modern Reflection Plum Stitched Arrows fabric and would make a Cashmerette Darmouth top with it. Longtem newsletter subscriber but soon to be an aunty for the first time - yay!! I would love any of the fabrics, but particularly aqua fawn, to make some super soft baby night gowns. Would love some modern reflections aqua fawn to make one of these slouchy tunics! Ooh what an amazing giveaway! I would love to win the navy quatrefoil fabric, although you have sooo many that are delicious! I love Modern Reflection Plum Stitched Arrows! I would love the Pure Vintage Mustard Dot - it's a colour that says "look at my lovely dress"! Not one to blend into the background! Vintage chartreuse dot for me. Lovely choices. Hard to decide but think I like Modern Reflection Plum Stitched Arrows best.. thank you please! 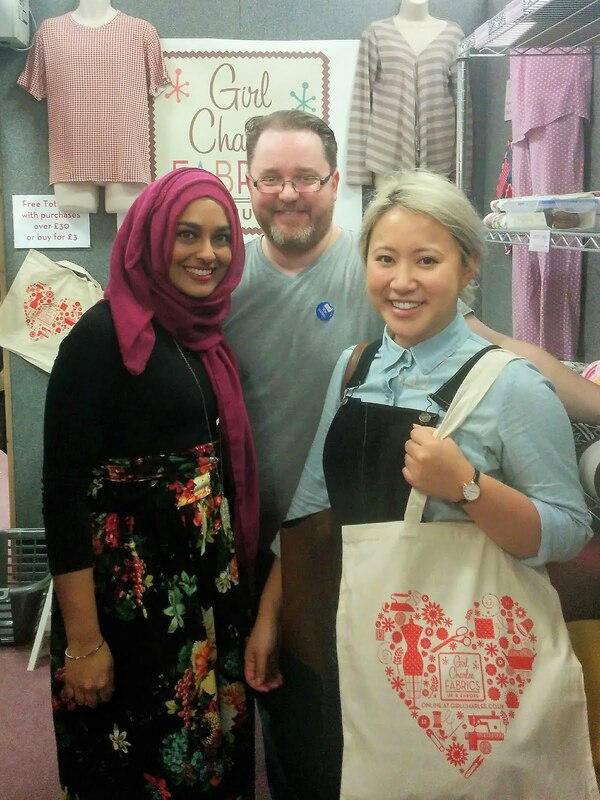 I would love the blue quatrefoil cotton. Looks fab. i like the Modern Reflection Feathers Cotton Spandex Knit Fabric looks great. I like the holiday red! great site too. I like the Modern Reflection Feathers Cotton Spandex Knit Fabric. I'd really love the mustard dot to try. 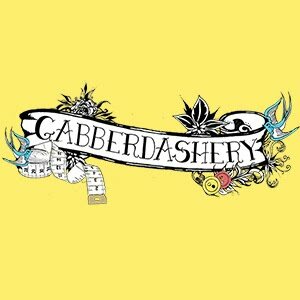 As I'm a newbe it would be great to be able to build up my stash with something lush!!! I would love to win some Aqua Fawn. Just starting to sew with knits ! Really hard to choose so many gorgeous fabrics. Would choose Desert Sky Mint Gingham Cotton Spandex Knit Fabric (I think...)! I'd pick the Jolly Holiday Red Quatrefoil. Pure vintage mustard dot and pure vintage blue quatrefoil are my choices. I have signed up many months ago zoeflyz@yahoo.co.uk. What a great giveaway. I am looking forward to the postie knocking on my door today and deliver my order from Girl Charlee. My absolute favorite is the Desert Sky Feathers, love this fabric. Pure vintage fox family in navy is so beautiful I'd love to make a dress with it!! Oh such a lovely range, my choice would be the modern-reflection-feathers in blue/lilac. Hard to choose but thing the pure vintage blue quatrefoil would make a stunning dress. I would love to win the Modern Reflection Grey Dots fabric, please. Desert Sky Pink Quatrefoil Cotton Spandex Knit Fabric. I think! No, the winner is being announced tomorrow so keep an eye out! Congratulations to our 2 lucky winners - Clare & Hannah Munro! (I have messaged you both in your comments here) Thanks to everyone for entering. Keep an eye out for more giveaways coming soon (including one for our NEW BOLT range (Homestead Life) out next week!! !